How can I adjust video playback speed? We get it—it can be time-consuming to analyse your UX testing videos. So why not try to do it up to twice as fast? This will speed playback up to 1.5x normal speed. 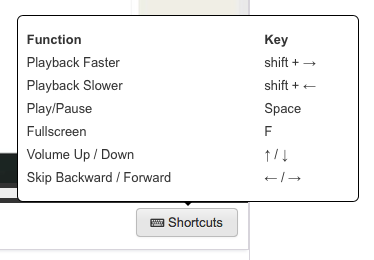 Pressing this shortcut again will speed playback up to 2.0x normal speed. This will slow playback down to 0.5x normal speed. Pressing this shortcut again will slow playback down to 0.25x normal speed.